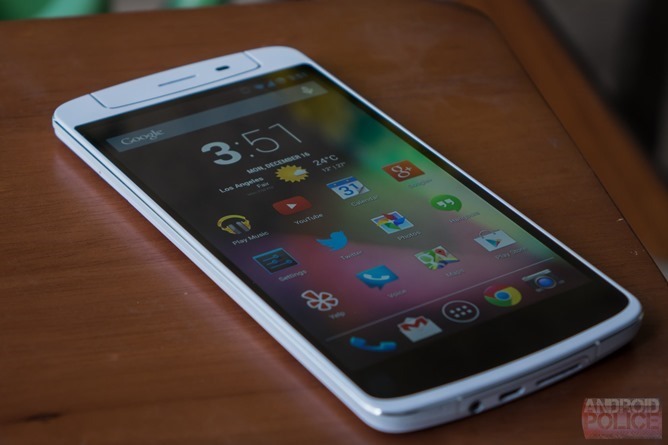 It's officially official: the Oppo N1 is the first Google-approved CyanogenMod phone. After passing through Google's CTS (compatibility test suite), CDD (compatibility definition document), and CTS Verifier, the phone can legitimately run Google's suite of apps and have access to the Google Play Store. It is an undeniably big milestone for Cyanogen Inc., who hope to release a true "CyanogenMod" phone at some point, with the "highest quality hardware available" through a partnership with an as-yet unannounced firm. Passing all of Google's compatibility testing means that Cyanogen Inc. can now deploy CyanogenMod on the Oppo N1 with an officially licensed version of the Google Apps package, which will otherwise be identical to the sideloaded packages CM users have been utilizing for years. This just puts a big "LEGIT" stamp on the whole affair. I was certainly skeptical about the phone's prospects of making it through the testing, but obviously Cyanogen Inc. has its act together, achieving something enthusiasts really only dreamed of before events of the last few months. I'm currently testing the gargantuan 5.9", nearly half-pound N1, so you can expect a review some time next week.